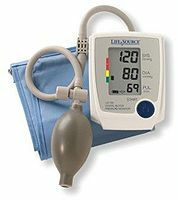 Blood pressure readings are a vital piece of medical information and one of the first items checked during a visit to the doctor. Blood pressure readings are measured in millimeters of mercury (mmHg) and usually given as two numbers. For example, 120 over 80 (written as 120/80 mmHg). The top number is the systolic pressure, the pressure created when a heart beats. It is considered high if it is consistently over 140. The bottom number is the diastolic pressure, the pressure inside blood vessels when the heart is at rest. It is considered high if it is consistently over 90 (1). 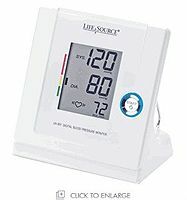 Home blood pressure monitors allow you to monitor and keep track of your blood pressure on a daily basis. 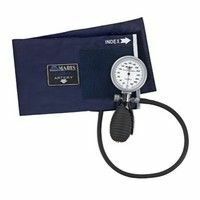 Active Medical provides both manual and automatic blood pressure monitor models designed to help you in tracking your blood pressure readings.